Product prices and availability are accurate as of 2018-12-31 03:10:32 GMT and are subject to change. Any price and availability information displayed on http://www.amazon.co.uk/ at the time of purchase will apply to the purchase of this product. 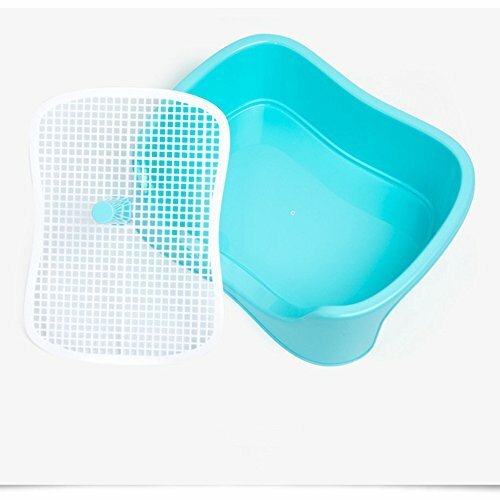 ?Great dog toilet to train dog to pee or poo indoors and keep house clean. 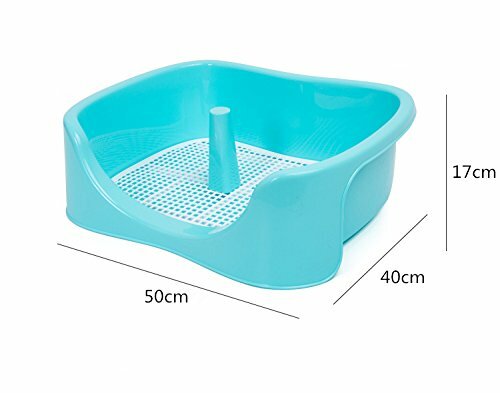 Suitable for dogs small and medium size. ?The post can be firmly fixed in any place. Removable grid is reinforced plus sides of decent heights that avoid spilling urine. 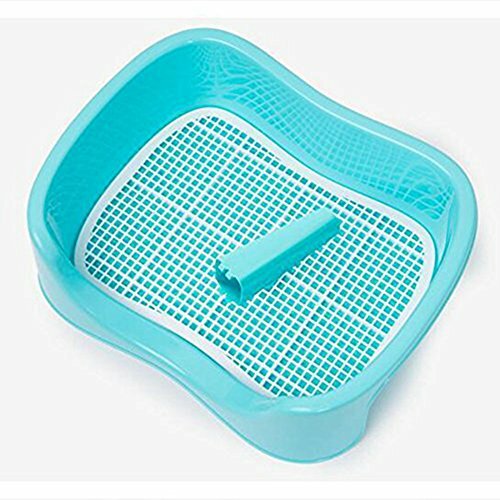 ?Made of sturdy and non-toxic PP plastic that is anti-microbial and odourless. It's easy to detach and clean. 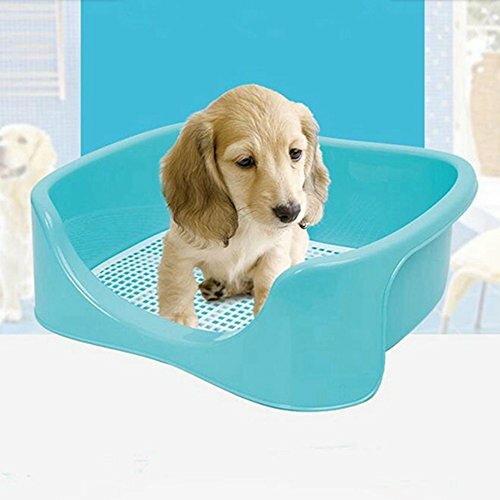 ?Perfect for dogs that live in apartment, which means that you don't need to rush out once your puppy need to pee or poo. ?Note: Please check sizes before purchase, thanks.
? If you have any question about the product, please feel free to contact us. We will do our best to offer you the best service. Thank you. ?HOUSE TRAINING- Big dog potty helps to train your boy dogs or girl dogs to pee and poo in house regularly without making house dirty. ?GREAT DESIGN- The post can be firmly fixed in any place. Removable grid is reinforced plus sides of decent heights that avoid spilling urine. ?DURABLE MATERIAL- Made of high quality and non-toxic PP plastic that is anti-microbial and odour resistant. Easy to detach and clean. 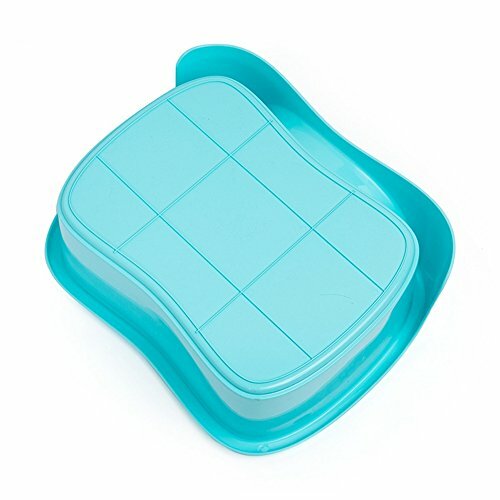 ?PRACTICAL TRAY- Perfect for dog who lives in apartment where it's inconvenient to go out or for bad weather that is not a good idea to let dog out. ?SIZE AND WEIGHT- Toilet dimensions: 50*40*17cm. Weight: 1kg. Suitable for dogs small and medium size.